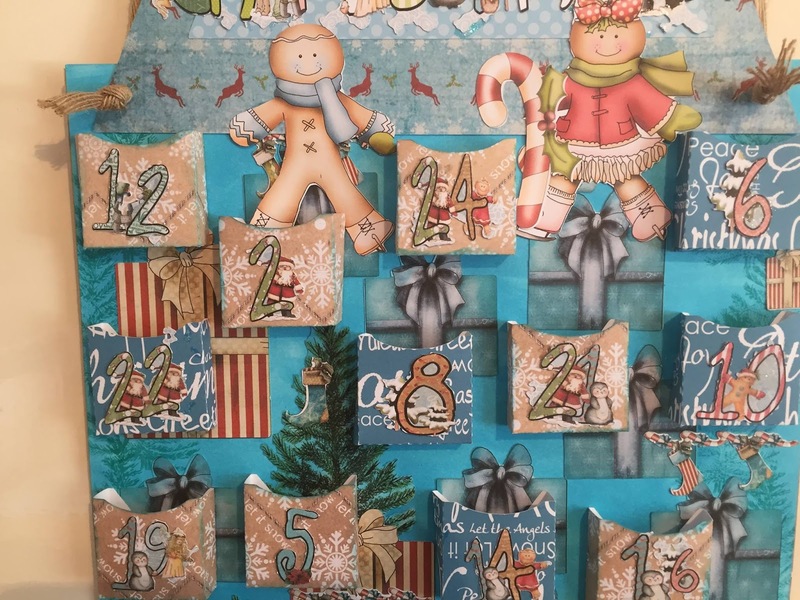 You have until Noon, GMT, Friday 2 December to enter. 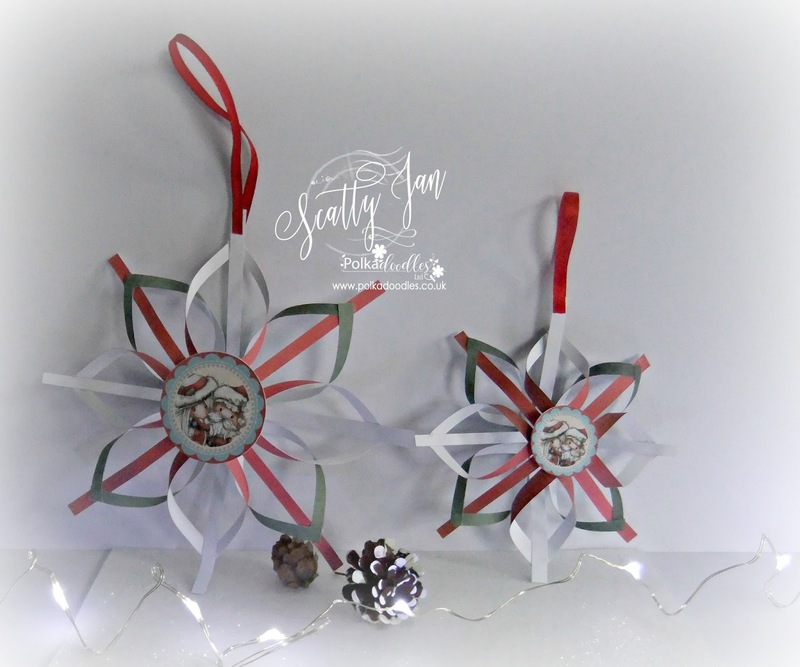 Pauline - I have made these Christmas Baubles using papers from the Festive Christmas CD, I remember making these with my Mum as a child, they are quite easy and great fun. 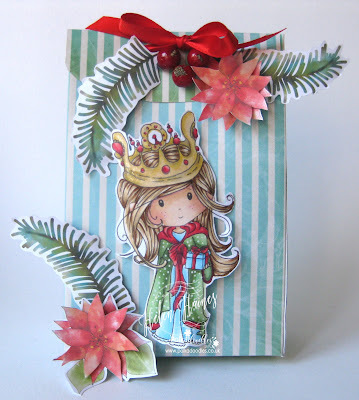 Helen - I've made a gift bag using paper and coloured Winnie looking like the Queen of Christmas from the Winnie in Winterland collection that you can find right here. I've added some embellies from the collection to to spruce it all up a bit. 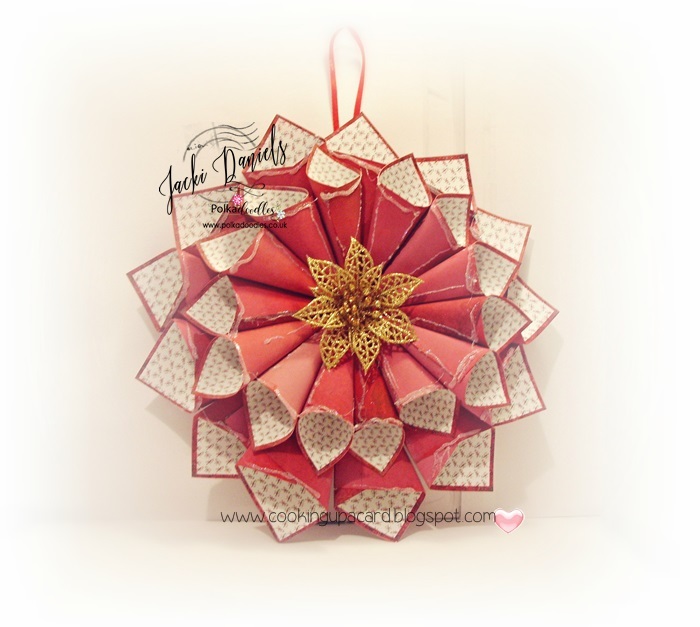 Jacki - For my DT piece this week I have gone with a Christmas decoration. 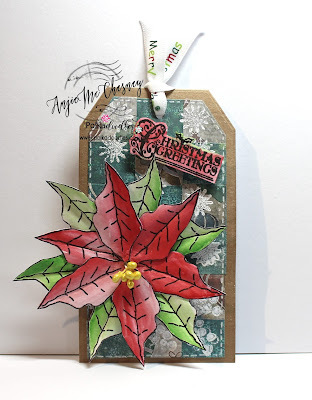 It's the first time I have made one of these and in all honesty when I see a challenge for a non card I get the heeby jeebies as I am mainly a card maker(it's my comfort zone) but I totally enjoyed making this, it was so easy just using papers from the Winnie in Winterland collection a flower from my stash and some glitter and there you have it. Elena - A ball hanging on the Christmas tree, hand-made is a gem that should not be missed this year. 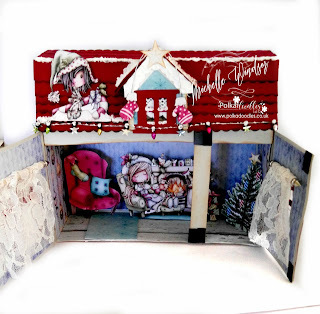 For this project, Printing and coloring WINNIE stamp Winterland - NORTH POLE and WINNIE Winterland - POLAR FRIENDS DIGITAL. 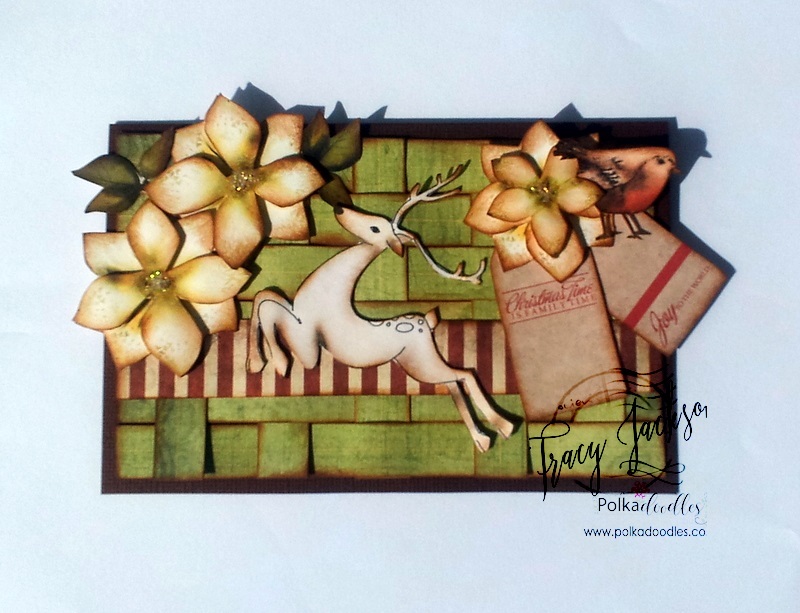 Furthermore shamrocks I punched them with paper BAKED WITH LOVE collection. Ruth - I've made a bottle tag using papers from Winnie Winterland and the flowers from the Bubbleicious Frames die. Quick and easy! 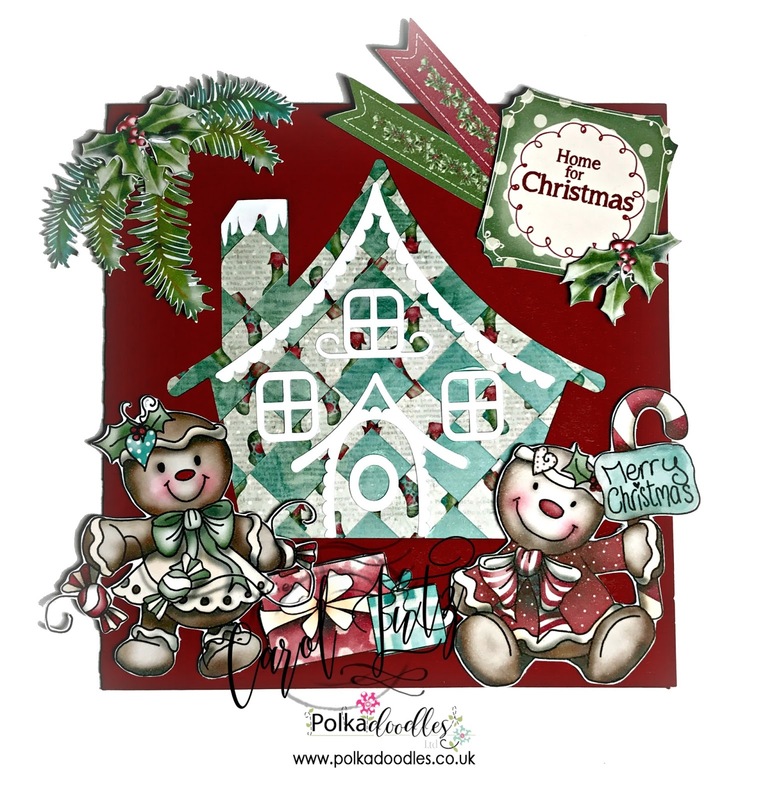 Lisa - For my make today I have used a Holly leaf from the Festive Christmas Download, printed multiple times onto an A4 sheet, cut out and layered up with Cherry Blossom Branch Die to make a Christmas Wreath. 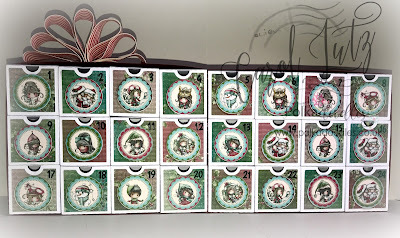 Carol - today I have made an advent calendar and decorated each box with backing papers and cutouts from one of the design sheets from the Winnie Winterland collection. This week we are sharing with you another lovely project made by Sandra you can visit her lovely blog here. 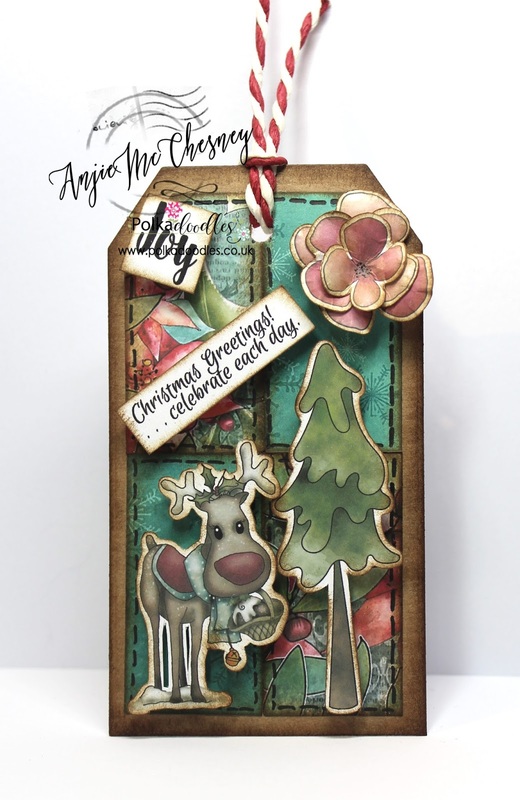 Anjie - I have used the stunning Winnie Winterland collection to make this tag. 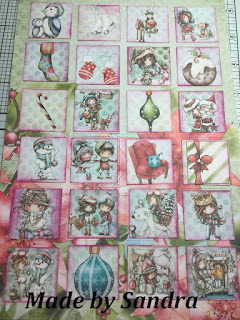 I've done some paper patchwork and inked the edges with a distress ink before gluing them in place. 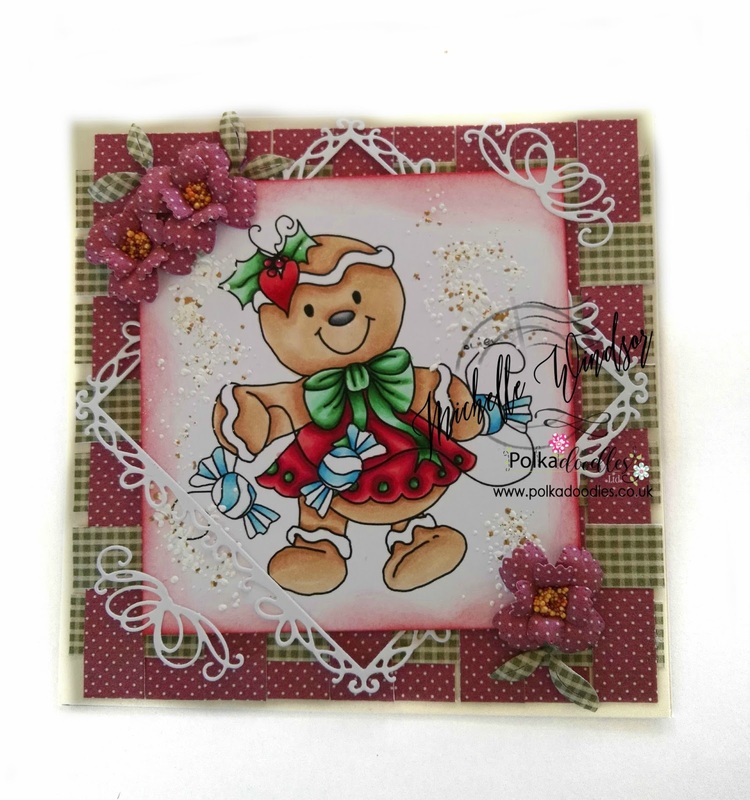 I then used a black pen to add some faux stitching. 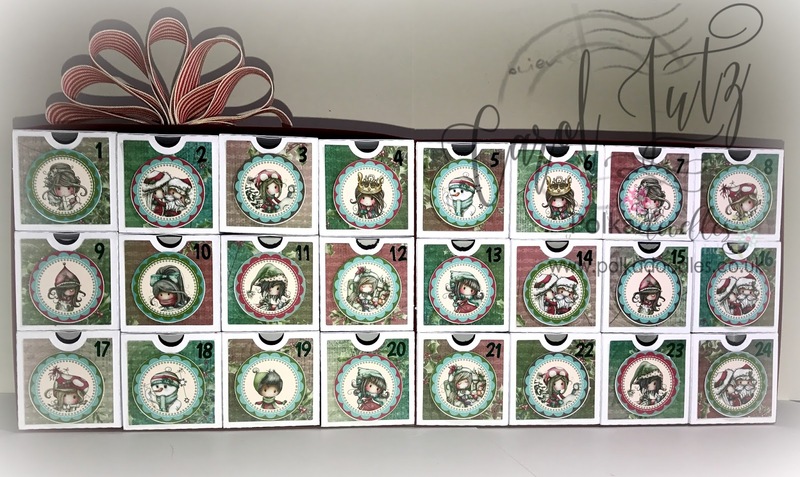 I then cut out all my embellies and sentiments and again inked to edges of them all before sticking the in place with 3D foam pads. 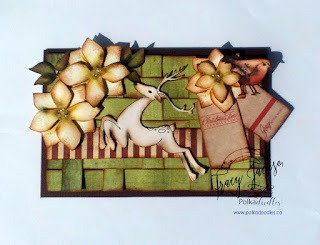 More pics on my blog. 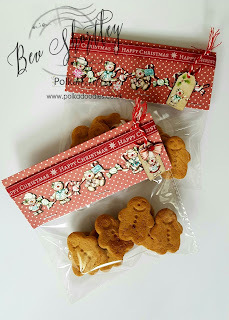 Gail - For this weeks challenge, I've created a tag holder and gift tags using the stamps from the delicious Festive Christmas collection. Tracy - For this week I have a picture frame I wanted to decorate for one of the girls. I used Burnised Brass Lustre to give the wood a shimmery look and added elements from Festive Christmas and the new collection Winnie Winterland. I added some sparkle to finish off. 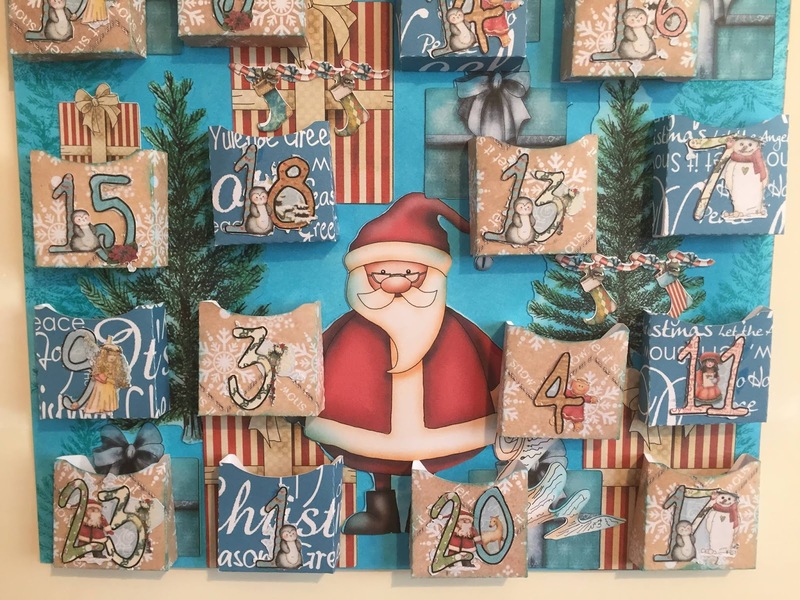 You have until Noon, GMT, Friday 18th November to enter. This week we are sharing with you a lovely project made by Sandra you can visit her lovely blog here. 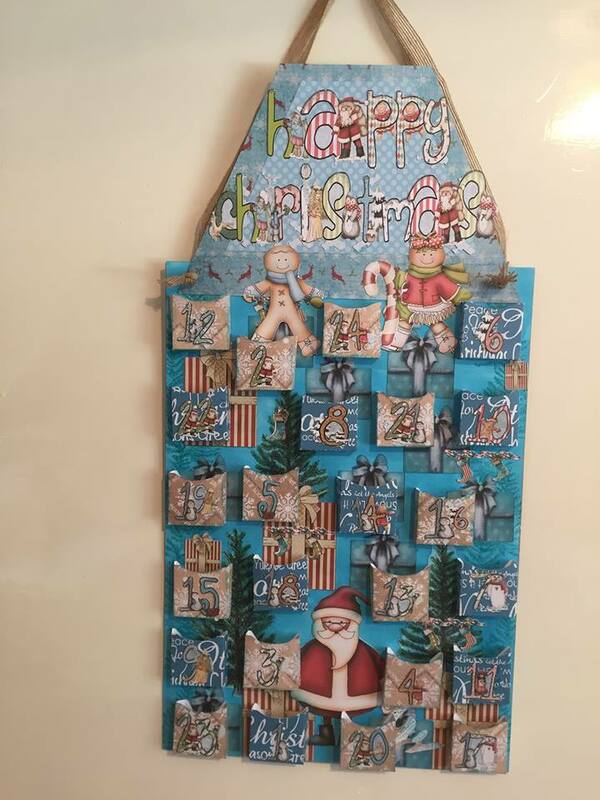 This wonderful advent uses many different collections from Polkadoodles and atands at an amazing 2ft tall!! 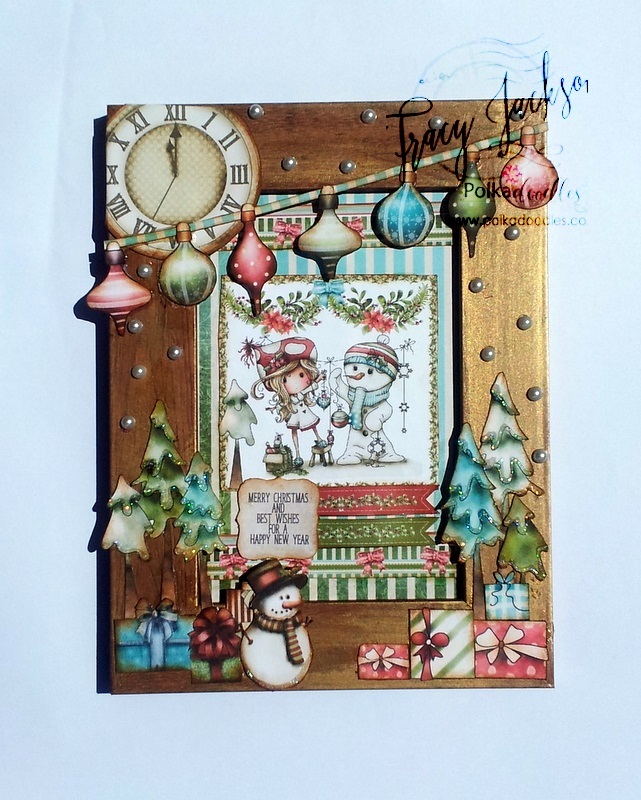 Tracy - I have used Festive Christmas collection. 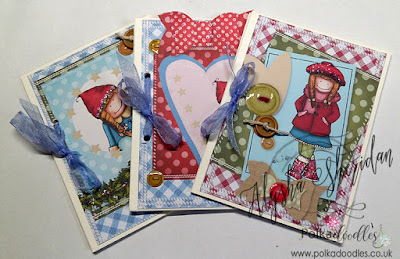 I love the rich colours in this collection and are having a lot of fun playing... and weaving! Gail - I've created a star wreath with a simply origami fold, using the delicious papers from the Festive Christmas collection and also the Bubbleicious die. Anjie - Well, I've never done paper weaving before so this was new to me. 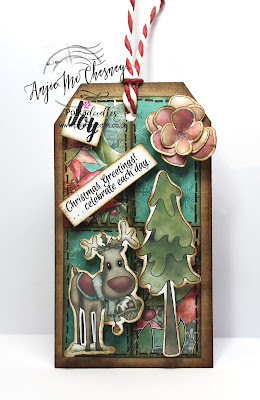 Of course I'm on with making my Christmas tags so thought I'd try it on one of those so I didn't get overwhelmed. 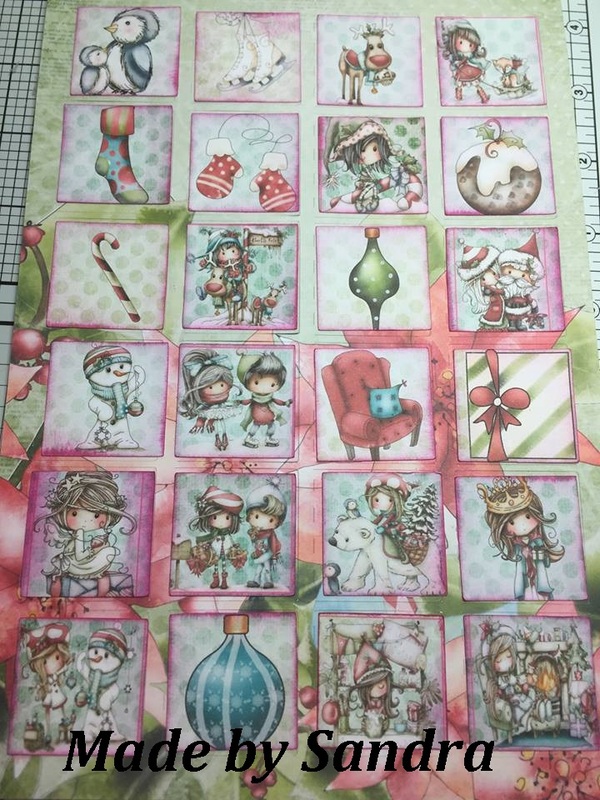 I have used the Festive Christmas Stamp Soup collection for this, both the CD and the stamp set. As always lots more details and photos on my blog. 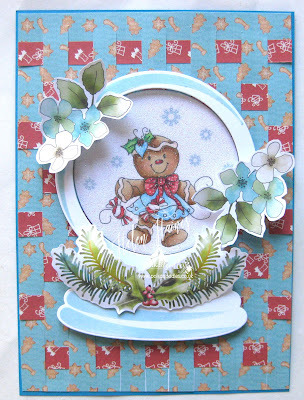 Claire C I've used papers, embellies, flowers and one of the gorgeous images from the Winnie Winterland collection to make my card. You can also get the image on it's own here. 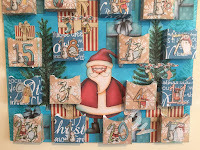 I got in a bit of a tangle with the paper weaving but managed to crack it in the end lol. 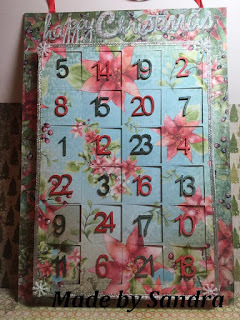 The image has been coloured with Graph'It Markers, I've coloured the fox in creams to make it a lovely puss cat and I've used Polkadoodles dies to cut the flowers (Flowers 1) and the focal image (Bubblicious Frames). 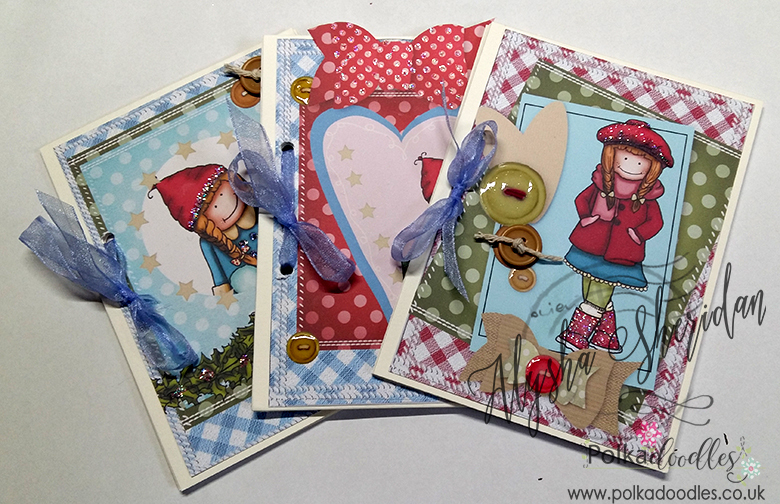 Have you seen all the gorgeous new embellishments and stock that's now in store on the website? 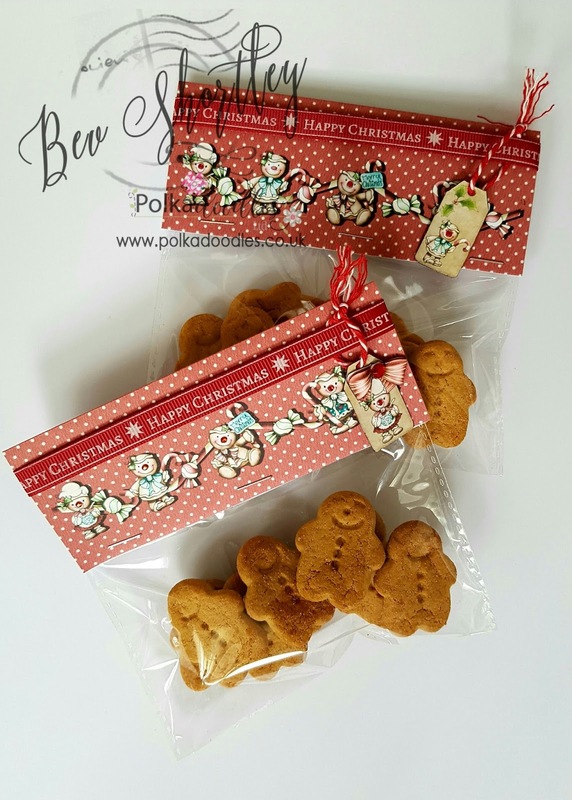 Make sure you go and check them out now, we have stock arriving all the time! 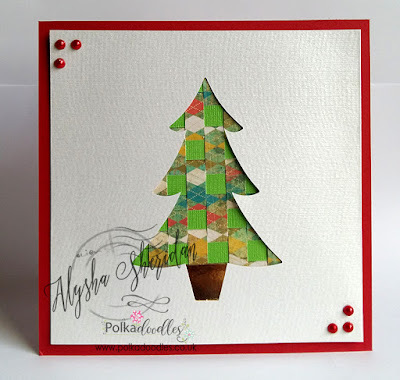 Alysha - I cut out a tree shape with my Cameo and then weaved the pattern behind the tree using Polkadoodles Xmas Papers and matted it onto some red card. Looking forward to seeing your projects this week. 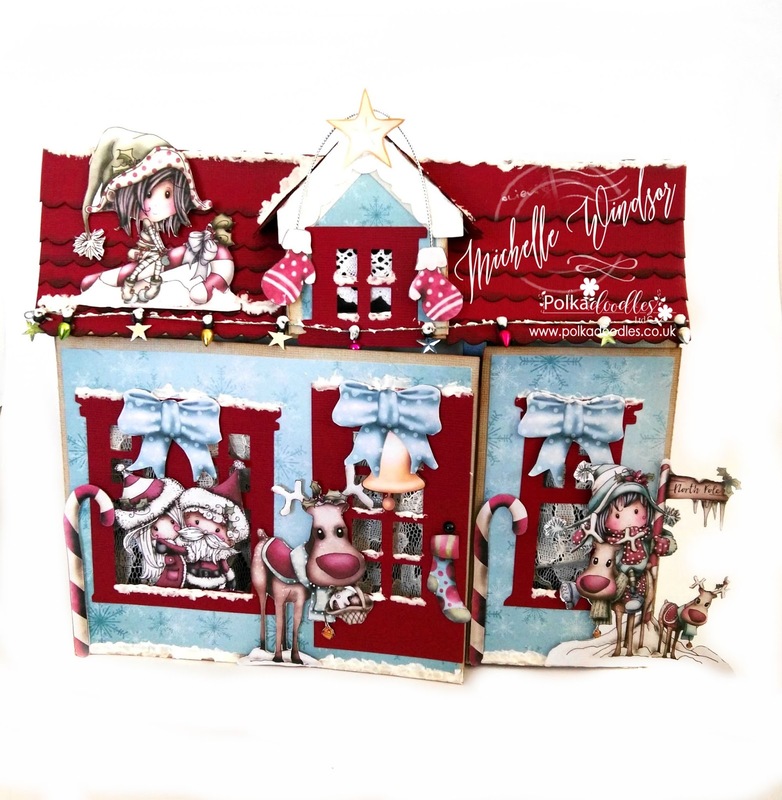 Helen - I've dusted off my paper weaving and made a background paper using papers from the new Baked with Love Collection to go with the little ginger in her snowglobe. 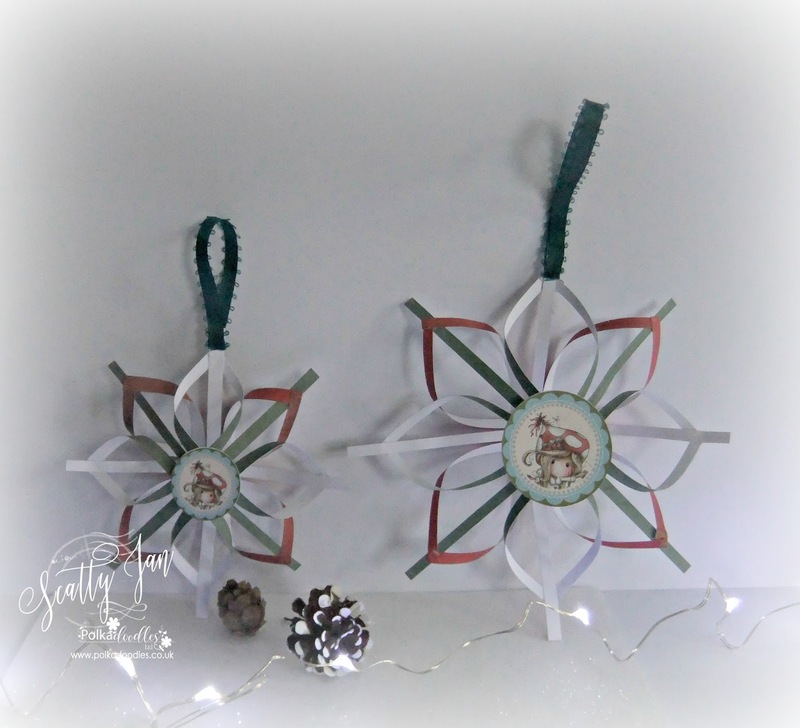 I've added some flowers and a festive decoration from the collection to. You can find everything right here. Pauline - I've used four papers from the Lavender Tea CD to weave a background for my clean and simple Winter Birthday card, the flower is also from the CD. Jacki - For my card I have used The festive Christmas collection I love these papers they are gorgeous. 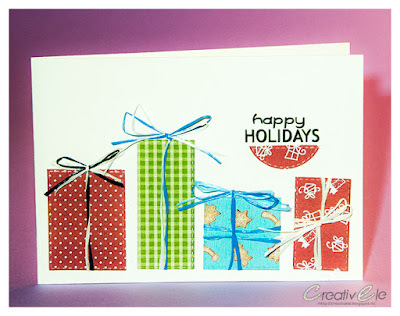 I decided to keep my card clean and simple focusing on the pattern of the weave and the image. 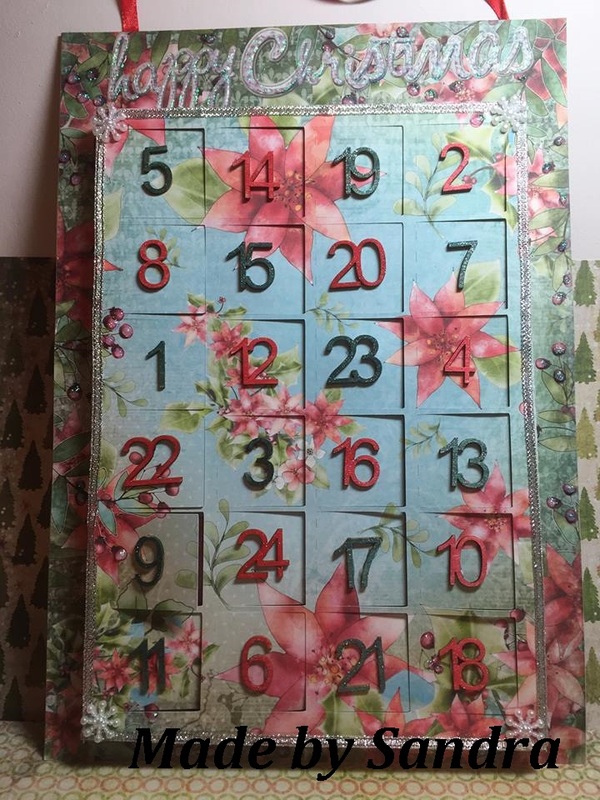 Lisa - I have used fabulous papers from Festive Hollybobs Full Download Collection to weave a square, which with a paper ribbon, bow and some foliage cut with Cherry Blossom Branch Die has turned into a Christmas Present. 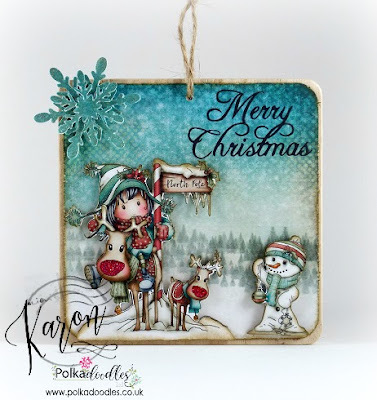 The sentiment on the little tag is also from the collection. 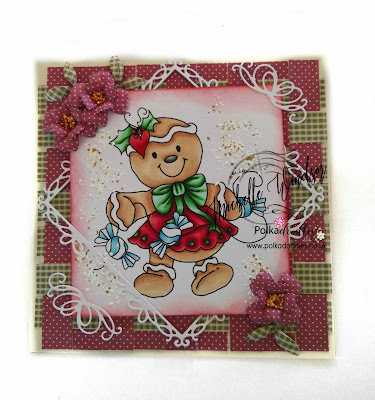 Elena - For my card I have used BAKED WITH LOVE papers. 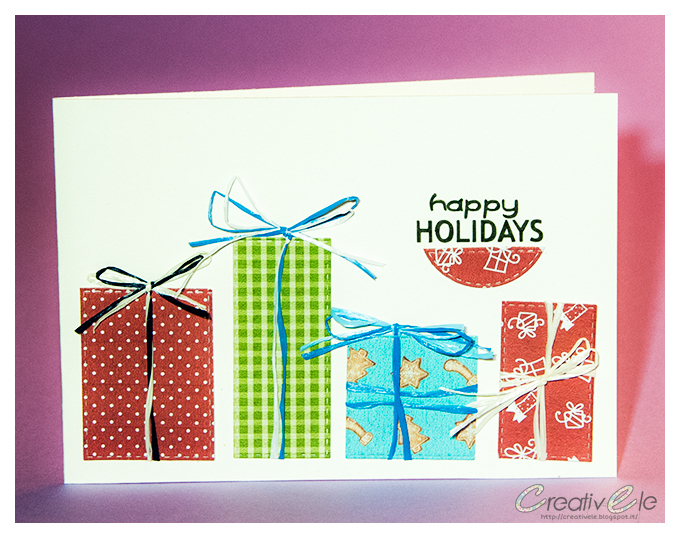 I love these cards, so I decided to bring out their beauty with a simple card. Karon - I have used the wonderful Winnie Winterland collection for my card today. 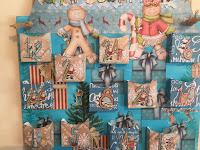 I weaved some of the papers and these were placed behind the Stocking window. Also used the wonderful Super Sprigs Die and the Flowers 2 Die for the flower on the top of the stocking. 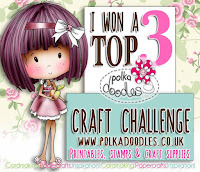 Our Winner and Top 3 of our Anything Goes Challenge Weeks 42/43 will be announced next Friday.